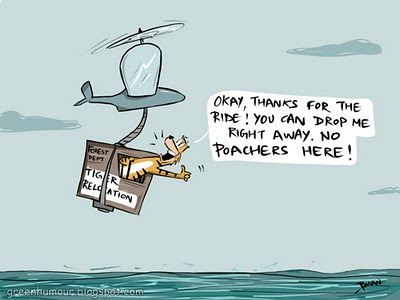 Tiger relocation operations have proved to be of tremendous importance in conservation. Areas that are extremely prone to man-animal conflict (such as the Sunderbans Delta in the Bay of Bengal) need efficient services of this nature for effective management of attacks, straying of wild animals and other wildlife-related conflicts. 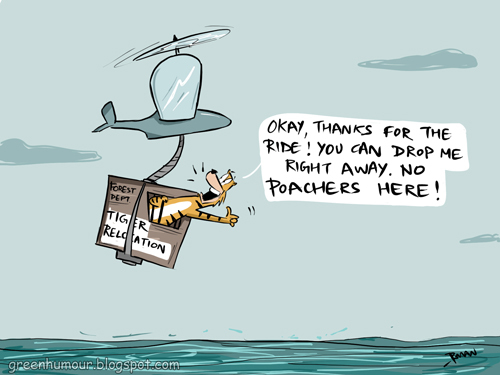 There have been some successful relocation operations carried out recently around tiger parks in India but a lot still remains to be done to make these operations more efficient and better managed.